The world is changing—and at an accelerating pace. Sixty-five percent of students today will be employed in jobs that have yet to be created. In a 21st-century career, you will be required to advance the frontiers of knowledge through original thought and innovative creative work. 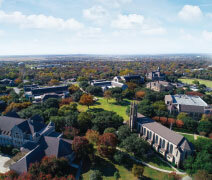 At Southwestern University, we’ve designed an experience that prepares you for these new realities. Combining our breakthrough curriculum with real-world opportunities, SU will equip you with the skills required to create new ideas, adapt, collaborate, and solve problems from multiple perspectives. These skills represent a broader, more relevant education for the tomorrow that awaits you. 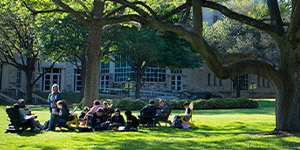 As the first institution of higher education in Texas and one of the state’s top liberal arts and sciences colleges, SU has a strong tradition of academic excellence. Our curriculum incorporates the humanities, fine arts, social sciences, and natural sciences across 35 majors and seven pre-professional programs. 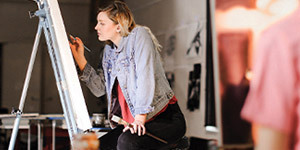 Southwestern faculty balance the highest level of scholarship with a dedication to mentoring students, teaching them to think broadly and make connections between different subjects. Employers and top graduate programs value the skills SU alumni contribute: 91% of graduates are employed or in graduate school within 10 months of graduation, and 17 SU students have been honored as Fulbright Scholars in the last 17 years. SU students participate in transformative experiences such as study abroad, community-engaged learning, internships, and faculty-mentored research projects that complement our model of inquiry-based learning. The majority of SU students live on campus and are actively involved in one or more of our 100 student organizations. Students are civic minded and volunteered more than 13,500 service hours in the community in 2017–2018. Athletically, the Pirates compete in 20 different varsity sports at the NCAA Division III level, with many more students involved in club or intramural sports. Historic Georgetown, Texas, provides the best of both worlds: a charming college town with convenient access to the vibrant capital city. In addition to its famous live music scene and world-renowned festivals such as ACL and SXSW, Austin was recently dubbed the “Silicon Valley of the South” because of its emergence as a hotbed for tech start-ups and entrepreneurs. Students also enjoy the abundance of outdoor activities, such as hiking, biking, or cooling off in one of the Hill Country’s numerous lakes, rivers, or natural springs. Southwestern’s Center for Career and Professional Development ranks #1 in Texas, helping students achieve their goals before and beyond graduation. Our career counselors provide personalized coaching and innovative programs to assist students in achieving personal and professional success. Through our alumni mentoring program, students expand their career networks and receive advice about their professional interests through connections with SU graduates. We invite you to visit our campus to explore, meet professors, and chat with current students. We’ll customize a visit based on your interests and are happy to answer any questions. Call us at 1-800-252-3166 or visit southwestern.edu.